The second in a series of releases from Teeling which focuses on the effects of wine casks upon their lovely Irish whiskey. 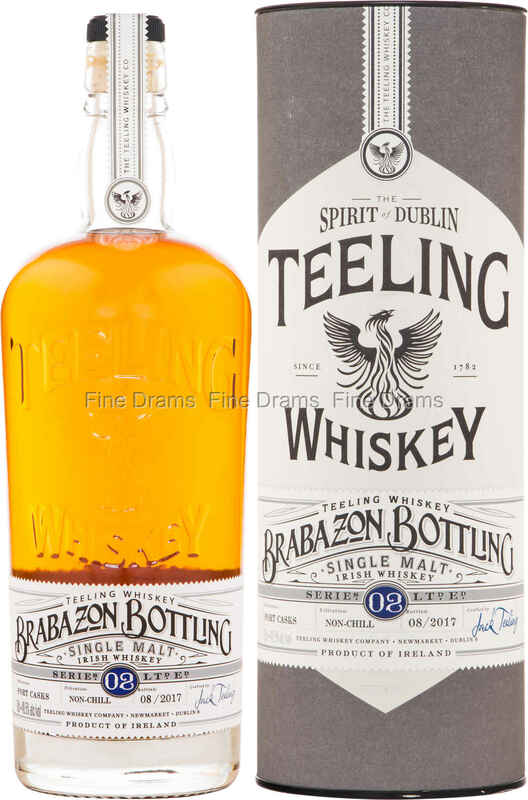 The series takes its name from the Brabazon family, who had a big impact on the Liberties area of Dublin, which has historically been a hub of distilling and is where Teeling distillery is found today. The first release was matured entirely in sherry casks, and was an instant hit. This second release contains spirit that has either had a full maturation or has been finished in Port casks. This fortified wine adds a layer of sweet, fruity complexity, and is sure to be a crowd pleaser. The port is immediately apparent with this whisky, which opens with strong notes of ripe red berries – raspberries, cherries and strawberries – before grassier Irish malt flavours take hold, followed by some bright wine-spice and a little orchard fruit. Bottled at a warming 49.5% ABV, this gives the flavours a good kick. A delightful little bottling from Teeling, which demonstrates the variety of Irish single malt now on offer.